A long, long time ago, I used to be quite fond of a rather old-fashioned cocktail call a Grasshopper. It was a dessert cocktail, and it was pretty sweet. And minty. And creamy. I decided to create a similar cocktail, but using better quality alcohol, and with added chocolate. I mean, hey, why not. To fancy it up a bit, I decided to do a pretty sugar rim with just a tiny hit of salt. So fancy. So good. So tasty. 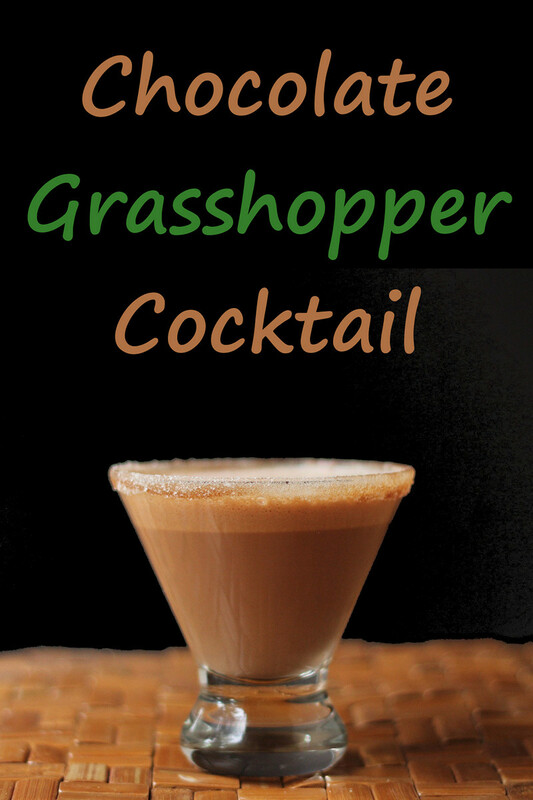 The original Grasshopper used cream, and a higher percentage of alcohol to cream, but I decided I wanted more drink and less buzz. This is pretty rich with half-and-half, which is why it's considered a dessert drink. You can lighten it up much more by using milk. 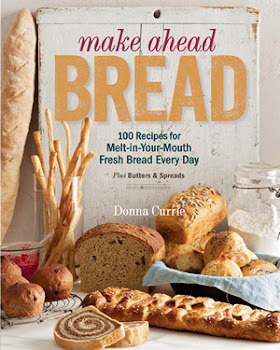 And of course, if you don't drink dairy milk, you can use whatever alternative you like. 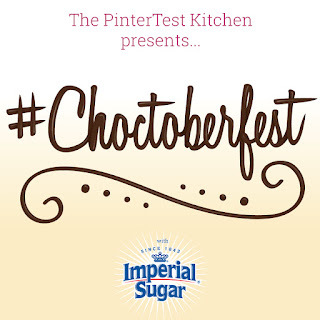 This post is part of #Choctoberfest with Imperial Sugar where a bunch of food bloggers have joined together to post about chocolate all week. The sponsors provided products for a giveaway (which is now over), and some sponsors also sent me products to work with. Put the half-and-half, liqueur, chocolate syrup and ice in a shaker and shave vigorously to blend, chill, and get a little froth on the drink. 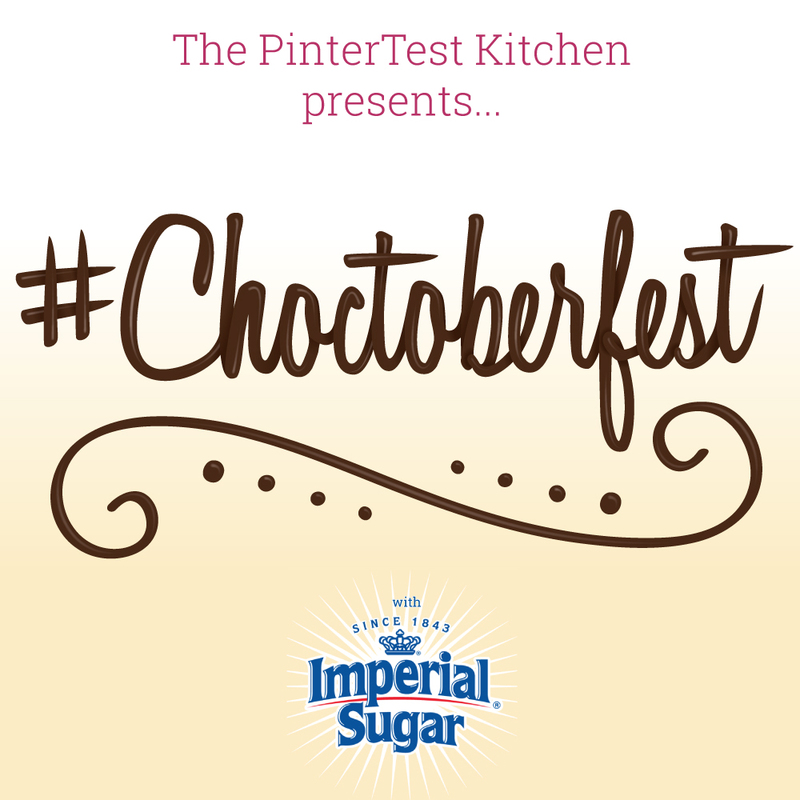 Paint a little bit of chocolate syrup around the rim of the glass. Combine the sugar and salt, then roll the glass rim in the sugar/salt mixture to get it to adhere to the glass. Strain the drink into the glass, leaving the ice cubes in the shaker.